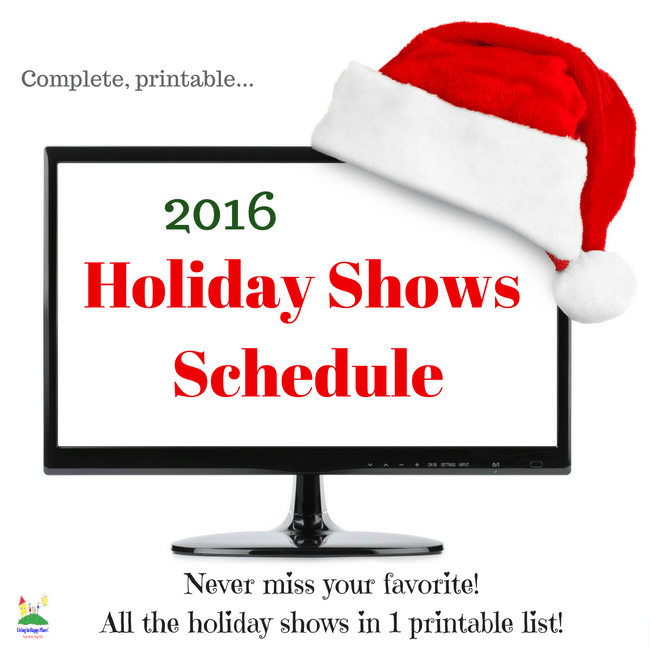 Preview: The ultimate, complete 2016 holiday shows schedule for the season including classic movies, new shows, parades with dates and showtimes. What more could you ask for? Watching classic holiday shows with your kids is one of the best parts of the season. Being able to share their excitement (and your nostalgia) just gets better every year. This is such a sweet mommy-and-me bonding activity! So don’t you just hate it when you miss your favorite show?! The one you wait all year to see! Life gets so busy and moms don’t get to watch much tv so you never know when the shows are on. 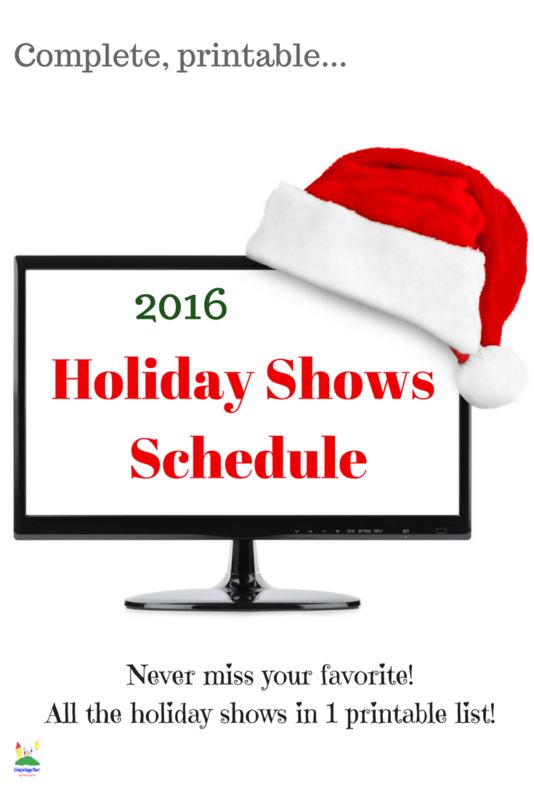 This year, I complied a COMPLETE list of the holiday shows for this season including channel info, dates, and showtimes so you don’t miss a thing this holiday season! Pour your hot chocolate (ok, coffee for mom), get your buffalo ranch popcorn/snacks, and cuddle up while you wait for your shows! This list will take you all the way to New Year’s! If you just can’t wait for your favorite or you want to own a certain movie so you can watch it anytime (uh hem, Elf maybe :), just click on the title so you can order it. All times are listed as EST. Please check your local listings to confirm show times/schedule. This list is for informational purposes only. You can bookmark this page and check back for more show times, pin it for later, or click the link below for a printable version you can hang on your fridge! Don’t forget there is a PRINTABLE VERSION too! wow! We made it to the end! Well, that should about do it!!! Have a wonderful holiday enjoying these classics with your precious gifts! You're ALMOST in! One last step to happy Moms and yummy recipes... check your email to confirm your subscription. Congrats! You are already a Happy Subscriber. 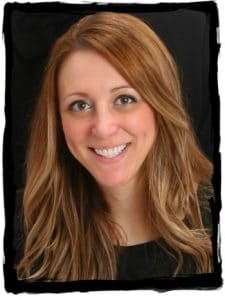 Have you signed up for boot camp yet?